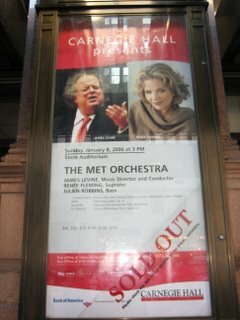 Stop Three of Diva Weekend was at Carnegie Hall to see the devine Renee Fleming with Maestro James Levine and the Met Orchestra. 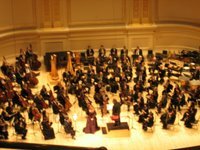 The Met Orchestra is straight from heaven. 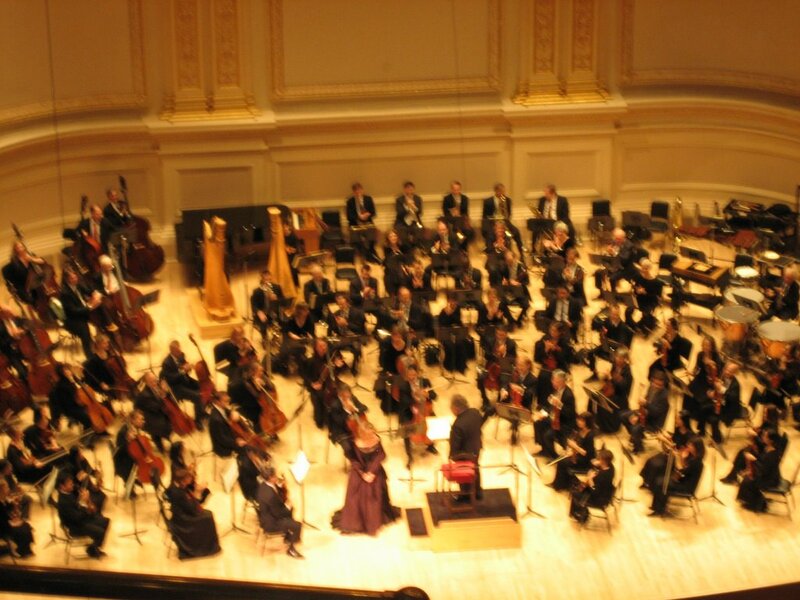 The orchestra started with Tchaikovsky's Romeo and Juliet Fantasy Overture. Renee then glided onstage to thrill us with Tchaikovsky's Letter Scene from Eugene Onegin. The audience was reluctant to let her go for the intermission, demanding repeated bows from her. For the second act, Renee returned to chill us with Berg's Altenberg Lieder, Op. 4. She actually whispered at the end of the Berg - I not only heard but felt pure softness of her voice in the balcony. The o rchestra continued with Wagner's beautiful Overture and Bacchanale from Tannhäuser. I especially loved tonight's program because the horns were featured throughout. Renee stunned us with the finale of Strauss' Closing Monologue from Capriccio. I honestly don't think I've heard in her better voice. 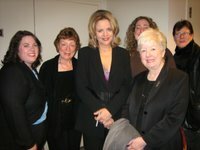 I attended eight performances of Renee's in 2005 and this first of 2006 was the pinnacle. The backstage experience was first-rate. 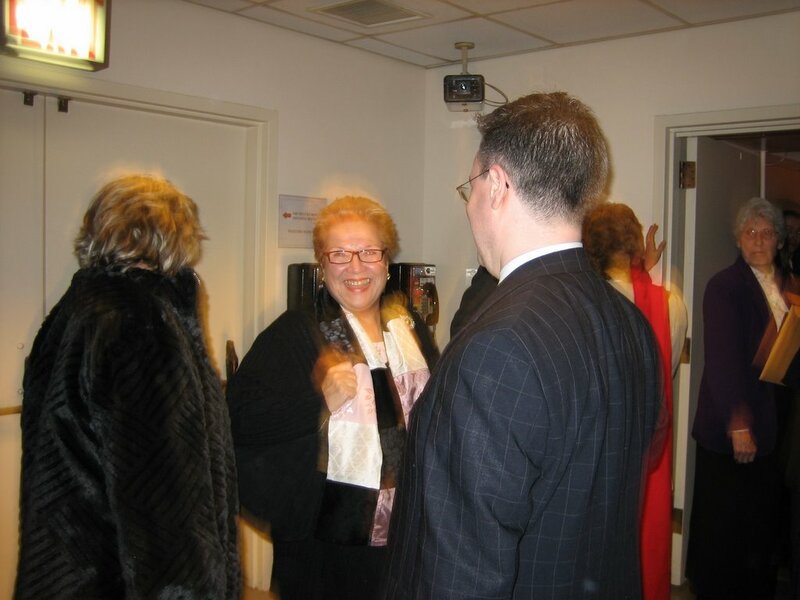 We were treated to the presence of Van Cliburn (no photographic evidence) and the devine Marilyn Horne! Ms. Horne was delightful - even waving good-bye to us from the elevator. La Diva did not immediately change from her Gianfranco Ferre plum and black gown. She worked the crowd and visited with friends. The TBV Representatives simply took in the sights and spent the time getting to know each other better. We were the last to visit with La Diva and she said "I'm so glad you all came!" when she saw us. She took time with each of us and then posed for a group picture with us. She said to me "I've seen you somewhere recently" and I was able to remind her that it was in Jersey after the Sacred Songs concert. We talked about An American Tragedy as well. At the advice of her friend Susie Graham, she was able to see the first act. She said she loved it! We had a laugh over the fact that of course Susie would recommend seeing the first act since she's in it the most. After this great experience, we convened a delightful and boisterous summit where some carrafes of wine were consumed and many stories were shared. We are all plotting more visits with each other and La Diva in 2006. For a wonderfully insightful and in depth review, stop by Khaleem's place! oooh! thanks for sharing these lovely photos and anecdotes! i didn't get to see La Fleming's dress in "normal" light the night she sang at La Scala for the Nov. 5, 2006 benefit, and thought it was more chocolate, less plum. Your post makes me miss NYC! 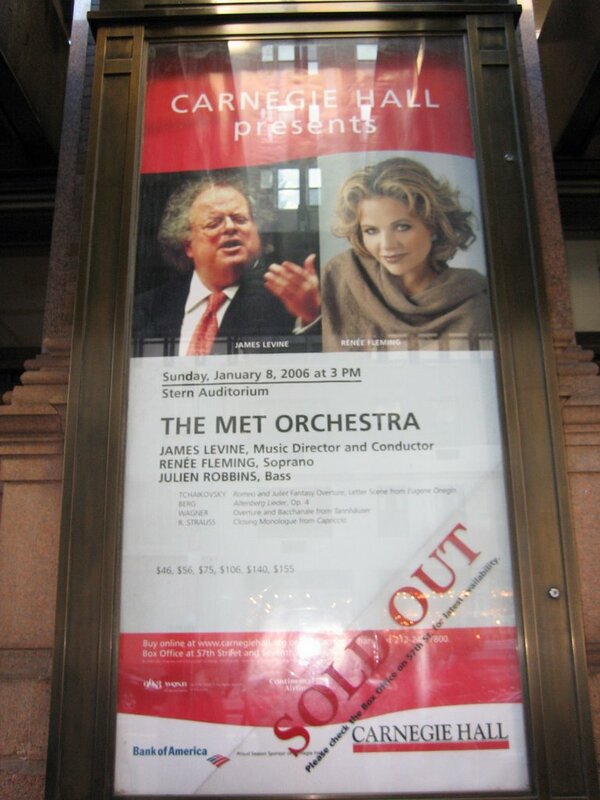 Enjoy the MET Orchestra, Levine, and all the wonderful MET singers!